Michal Kosut is PADI’s new Regional Manager for Central Europe. 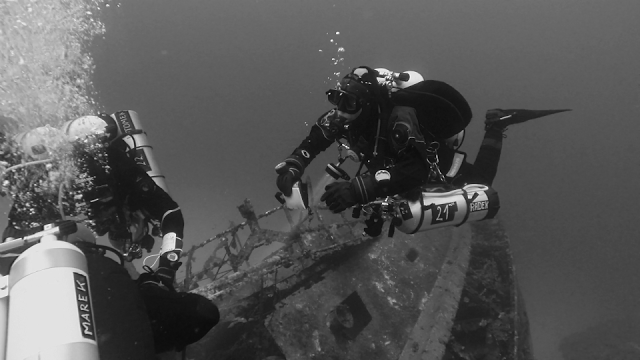 He is an experienced PADI Course Director and TecRec IT and here he shares the first of his tec tips – thanks Michal. Today we will talk about a very simple solution, which we introduced some time ago during our TecRec courses and which makes the tank marking significantly more visible under water. We all know that ready made stickers with a name and MOD are really handy. Sometimes, however, we ran out of them or the mixture that we use has a bit different MOD from that on our stickers (standard stickers are 21 m for EANx50 and 6 m for oxygen). 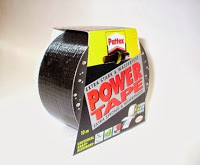 The popular solution in these situations is to use grey silver tape (or power tape) and black permanent marker. We have been using this solution for years but first of all it is not very visible and it has a tendency to rub out during the dive. And then somebody came for a course with a black tape and white marker (with oil paint). We loved this solution from the very beginning as it gives a much more permanent effect, which is very practical when the mixtures are repeated, but first of all it was much more visible. There are lots of markers and tapes on the market – we use these ones, among others. Exactly. In cave environment the silver tape also shines too much. 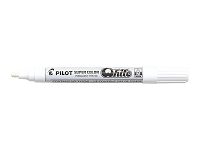 We use black tape or dark blue tape and white marker. 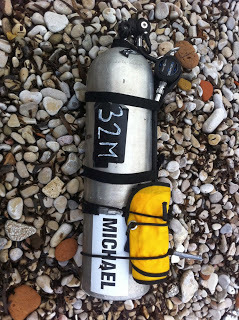 One other think is not to write on tape and go diving. Give the marker some time to dry out (like an hour). Good tip for everyone. 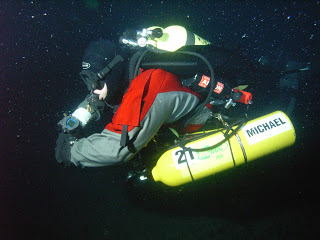 Previous PostPrevious Sidemount – What, why and how? 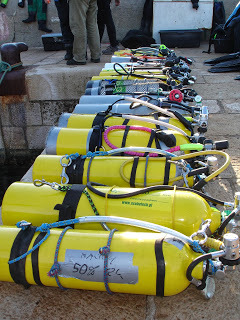 Next PostNext Rebreather Instructor Trainer Course in Korea!